Roman history doesn’t go back any further than this! This is the beginning of it all! THE SPQR FLASH MOB !!! The Seven Kings of Rome is now finished. Rome was founded (we didn’t know it was losted!) on the 21st of April, 753BC, at about 2.30 in the afternoon, by Romulus, the first and perhaps most famous of the Roman Kings. He was succeeded by six more Kings, whose lives, like that of Romulus, are shrouded in myth and legend. This forty minute comedy lifts that veil of mystery to reveal the lives of these seven kings, who forged the foundations of the city that would become the capital of the whole known world. 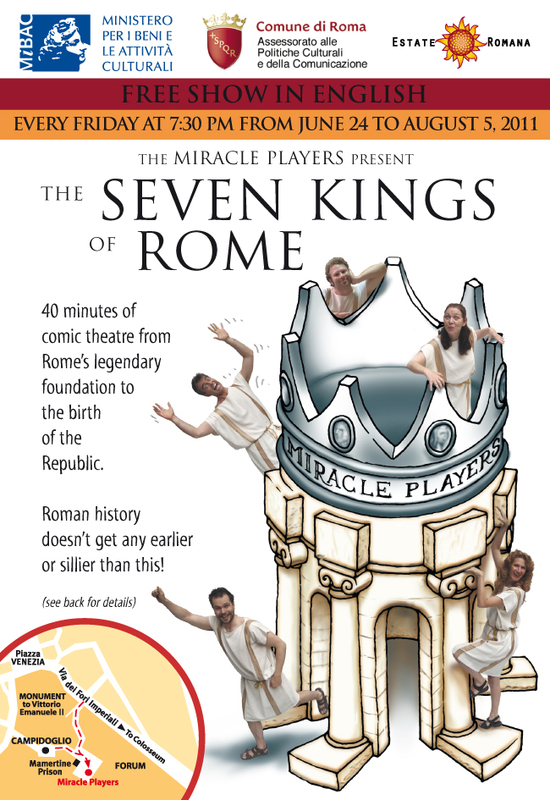 The play follows the fortunes and misfortunes of the Roman monarchy until its eventual demise and the founding of the Roman Republic. Back with their old style but new jokes the Miracle Players explain, amongst other things, how she-wolves get themselves into history books, why you should shelter during a thunderstorm, what happens when Roman kings neglect the worship of the Gods and just who exactly is King Flame Head! 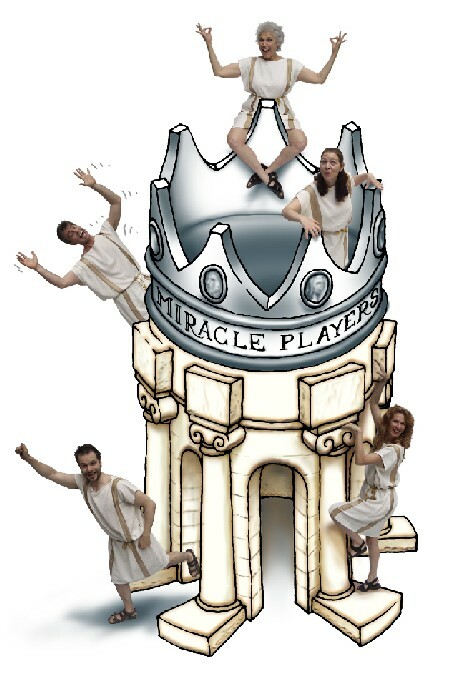 This year the Miracle Players take audience participation to another level! Be sure to learn the Song and Dance before heading on down to the Roman Forum.